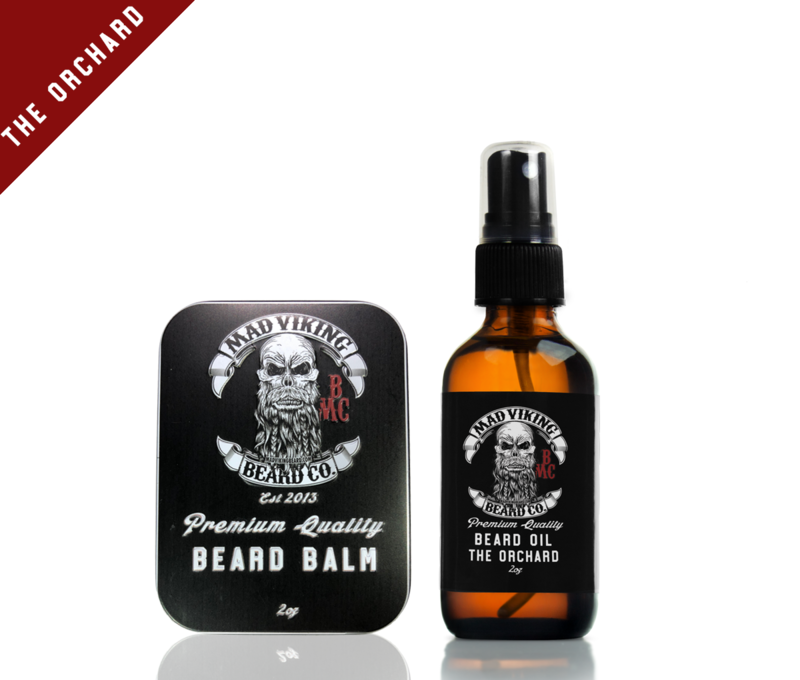 The Orchard Beard Oil & Balm Combo 2oz - Mad Viking Beard Co.
[awr-cherd]: An area of land devoted to the cultivation of fruit trees. 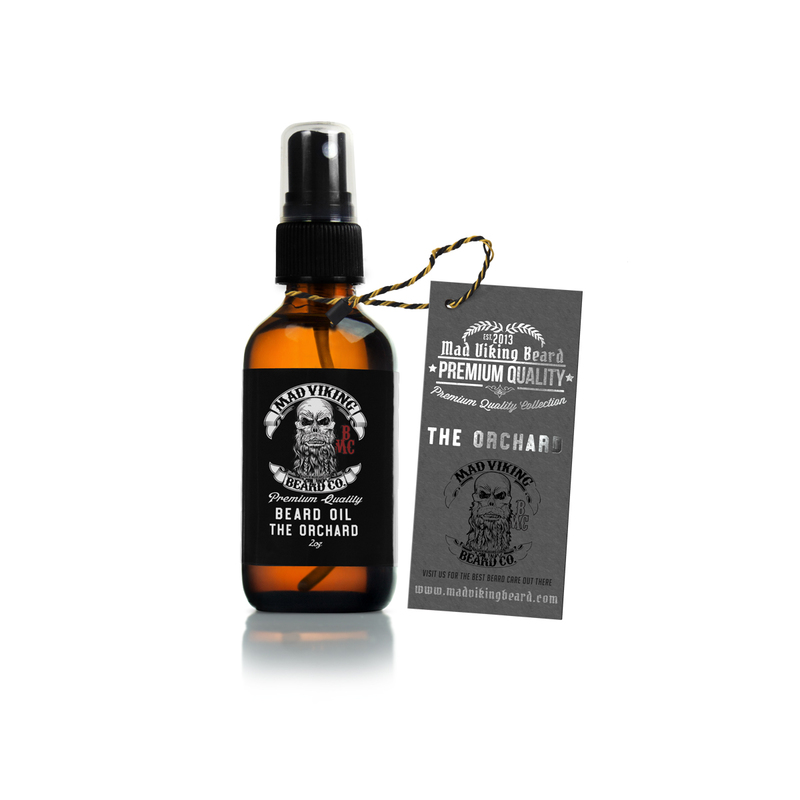 The Orchard Beard Blend is masculine yet also light. As a result you’ll smell so good that your significant other will keep coming close for another whiff, plus your beard will be soft and shiny. 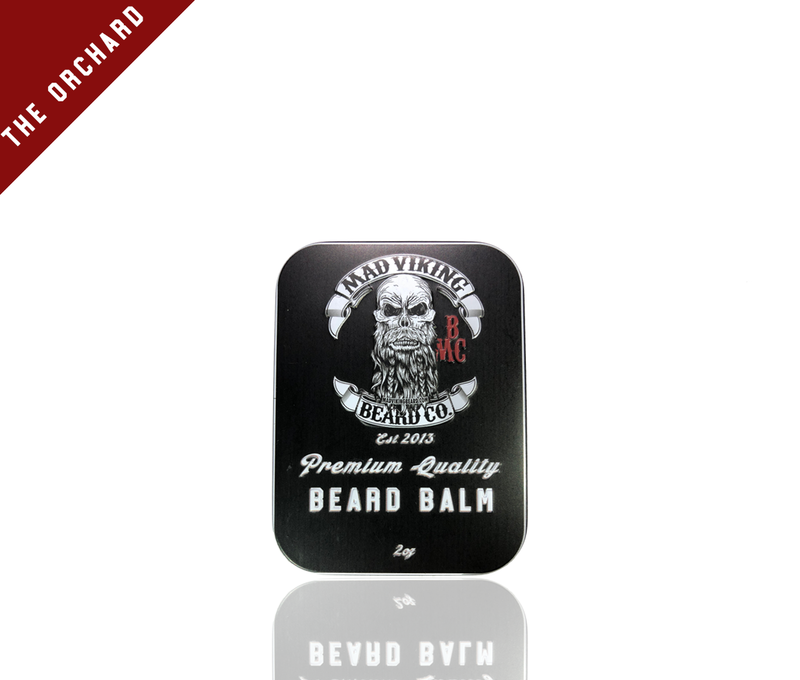 We have captured and locked in the scent of an apple orchard to give you a pure bearding experience. You will notice both red apple and light hints of vanilla as this blend carries with you all day. Get lost in a late summer afternoon every time you use The Orchard Beard Blend. Get more for your money when you upgrade to the starter pack.